At the age of five, he was signed up to Club Infantil Sarrateha in his local area. In 2002, Mauro was registered to Vecindario. There, he would score 384 goals in six years before moving to Catalonia and the Barcellona youth set-up. He scored 38 youth goals but never played for the senior team. Sampdoria signed him and he was the top scorer for the Primavera side in the 2011-12 side and by the end of the season, he made a large contribution in the return to Serie A. His debut in the top flight came on 26th September 2012 and he scored in the Genoa derby. In January 2013, he scored four against Pescara and three home and away against Juventus. During his time with the Blucerchiati, Mauro showed all of his talent and goalscoring instinct and Inter were keen to invest in this. 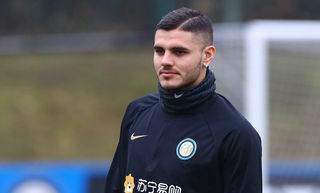 In the summer of 2013, the Nerazzurri signed the Argentine forward and he made his Serie A debut for the club against Genoa on 25th August and his first Inter goal came against Juventus on 14th September. In the following season, he won the top scorer award along with Luca Toni on 22 goals. 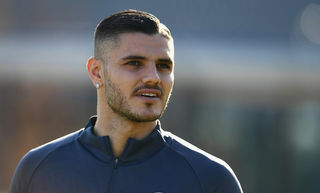 His convincing displays on the pitch saw him earn the captain’s armband and he took the role on in the 2015-16 season as the symbol of a new direction for the Nerazzurri. His goal against Chievo on 3rd February 2016 made him the youngest foreign player to reach 50 goals in Serie A. In 2017, he scored his first goal in the Milan derby and in Inter 7-1 Atalanta, he scored the third quickest hat-trick in Inter history. He finished the season with 24 goals, his personal record and he also moved over 150 goals in Serie A. In the 2017-18 season, he scored three goals as the Nerazzurri won the derby 3-2. On 16th October 2013, he played for Argentina for the first time against Uruguay in a World Cup qualifier.